A one drawer bedside cabinet in solid pine. 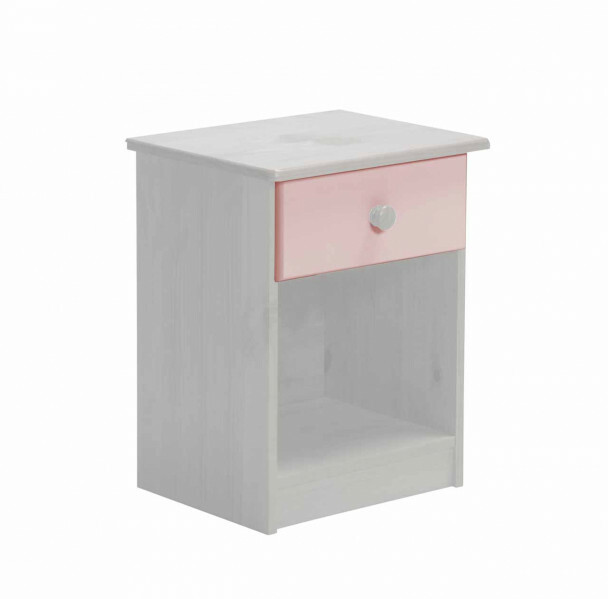 White colour with pink mdf drawer front. Part of the Verona Range. Our products comply with the European standard EN 71-3.